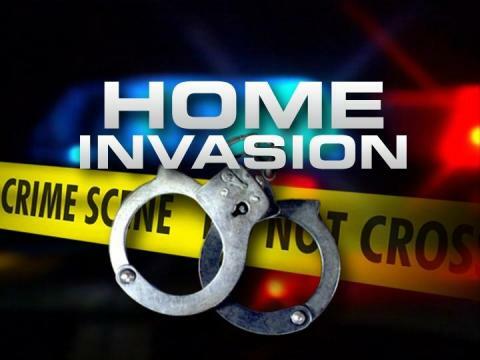 Ocala, Florida — Three black males, who were armed with a large caliber handgun and machetes, kicked in the back door of a home and demanded drugs and money Tuesday night. It was a frightening experience for the individuals that were home when the three men barged into the residence. Police said when they arrived on the scene, they were met by two victims, age 16 and 17, who were running down the street. The juveniles stated that they had run out of the front door of the residence and feared they were being chased by men with weapons. The victim stated that the black male was wearing a red hockey mask. The victim described it as a “Jason” mask. The suspect was also wearing a hoodie. The suspects forced one victim to empty his pockets, at which time they stole his (2) $5.00 bills. It total, the suspects robbed the victims of approximately $400. K-9 units attempted to track the suspects, but were unsuccessful. The incident occurred in the 700 block of Southeast Wenona Avenue, Ocala. If you have any information about this case, or know of the suspects’ whereabouts, call the Ocala Police Department at 352-369-7000 or Crime Stoppers at 368-STOP, text 274637 using keyword 368-STOP, or visit www.ocalacrimestoppers.com. Anonymity is guaranteed.